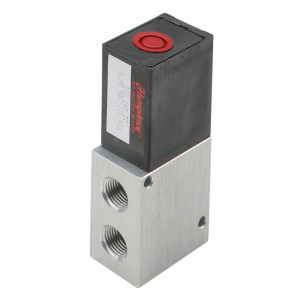 2 or 3 way balanced poppet valve for air, vacuum or inert gases. 1/4" NPT ports with flow of 60 SCFM @ 100 psig. Standard non-locking manual overides and 24" wire leads.